Today let’s take a look at current real estate market conditions in Wesley Chapel. 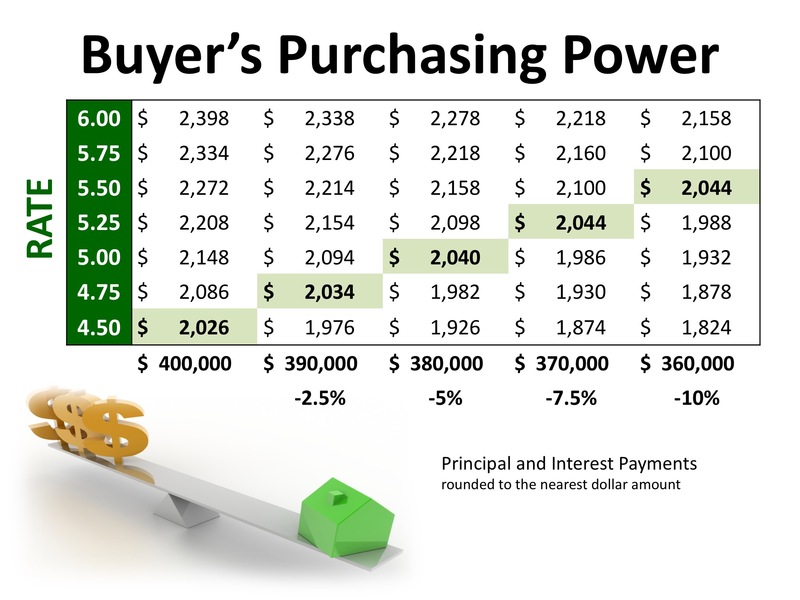 Median List Price is a key statistics for homebuyers and sellers. It shows the price above and below which half of the sellers in Wesley Chapel have listed their homes for sale. Currently, the price is $337,095. 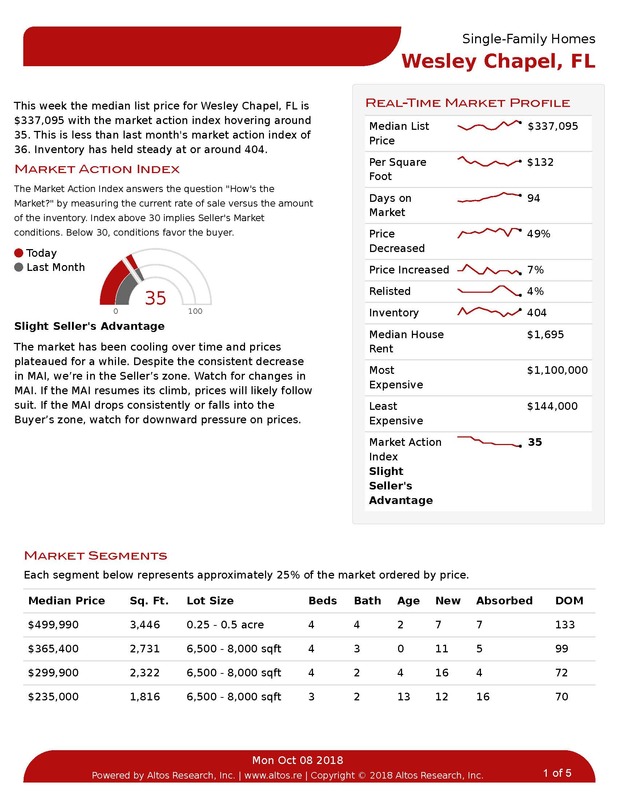 The Market Action Index indicates if buyers or sellers have an advantage in Wesley Chapel. It is now at 35, a little lower than last month’s 36. This means the market favors sellers a little more than buyers. 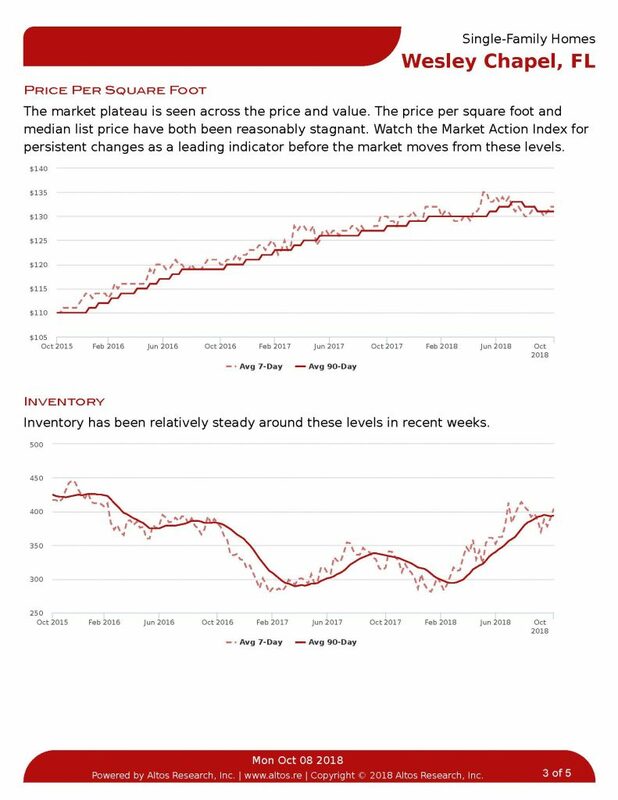 If the Index slips below 30, it indicates the market has swung into the buyers favor. The higher the MAI goes, the more prices should go up. 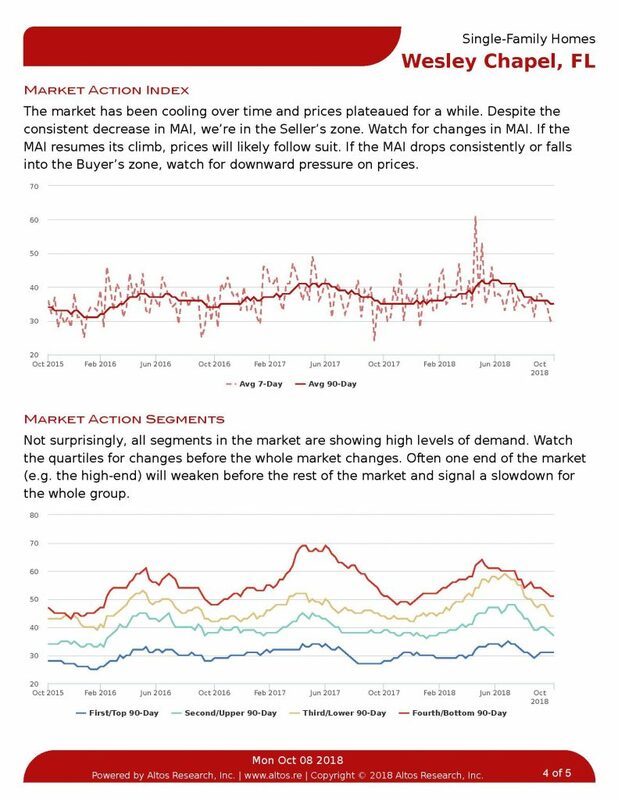 The Real-Time Market Profile on page one of the report below contains a summary of other key housing metrics: Price Per Square Foot is $132. Average Days on the Market stands at 94 days. 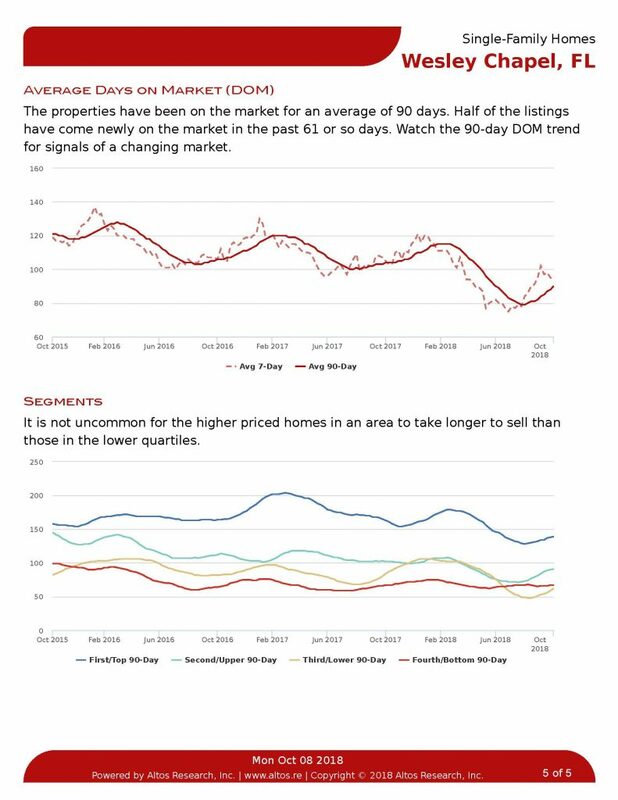 Also, 7% of homes for sale in Wesley Chapel have increased in price, while 49% have decreased in price. Currently, Wesley Chapel has 404 homes listed for sale. 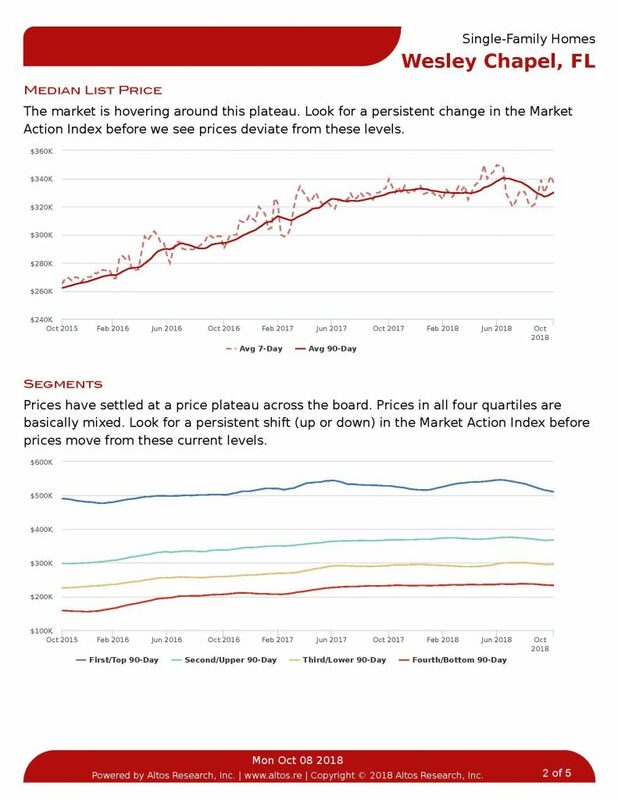 The Market Segments section at the bottom of each page of the report breaks down the trends by price range. Each segment contains roughly 25 of the homes for sale. So find your price range for a more specific look at how the trends are playing out in your market segment. 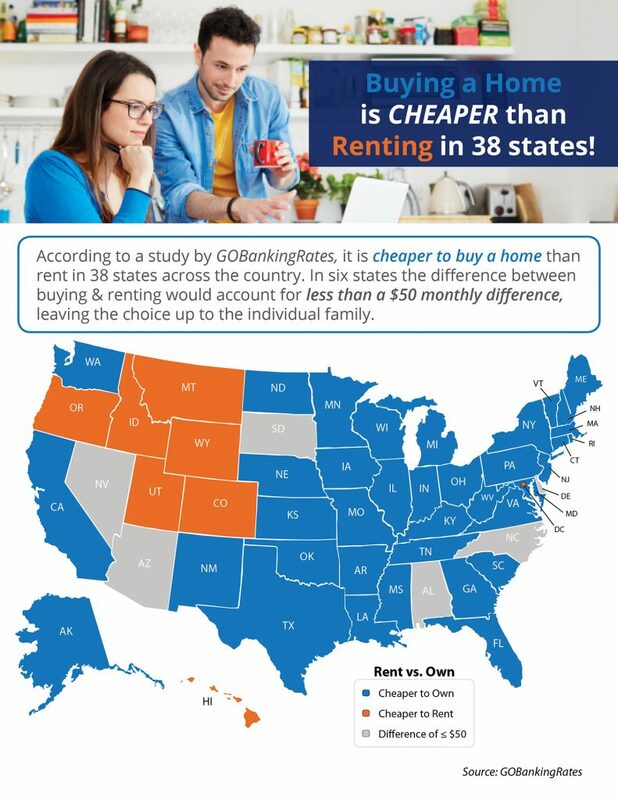 Before you go, take a few minutes to review the home buying and selling tips and mortgage rate information below. All over Pasco County, you’ll see construction. The new home boom is especially big around Wesley Chapel. “We are issuing 300 permits a month in this county. So you can imagine how fast this community is growing,” said Pasco County commissioner Ron Oakley. Several new communities are popping up, including Epperson with 2,000 houses and eventually, the opening of its Crystal Lagoon. But with all the new homes, there is the serious need for a fire station. “There is a gap here, we are in the middle of a big gap. We have Station 13 that is to the west of us. We have Station 26 and 27 that are to the east of us,” said Deputy Fire Chief Andrew Fossa. Pasco Fire Rescue says its average response time for a call is about 8-10 minutes, but they want it closer to six minutes. First-time homebuyers in Florida who need help buying a home have a place to turn to. The Florida Housing Finance Corporation, known simply as Florida Housing, offers several down payment and closing cost assistance programs to help you buy your first home. Florida Housing programs are available to first-time homebuyers — or anyone who hasn’t owned and occupied a home in three years. Activity military members, qualified veterans and anyone purchasing in a federally designated targeted area may also be eligible. A “targeted area” is a neighborhood, block or street where 70 percent or more of households earn 80 percent or less of the statewide median income, as determined by the U.S. Department of Housing and Urban Development. So if your house is on the market right now, take heart! And heed what many experts say is the one best thing you can do to reel in buyers: Give your home an autumn upgrade with some www. To tap into the fall frenzy, here are some staging tips that will help your home exude a cozy ambiance that’ll get those offers rolling in. 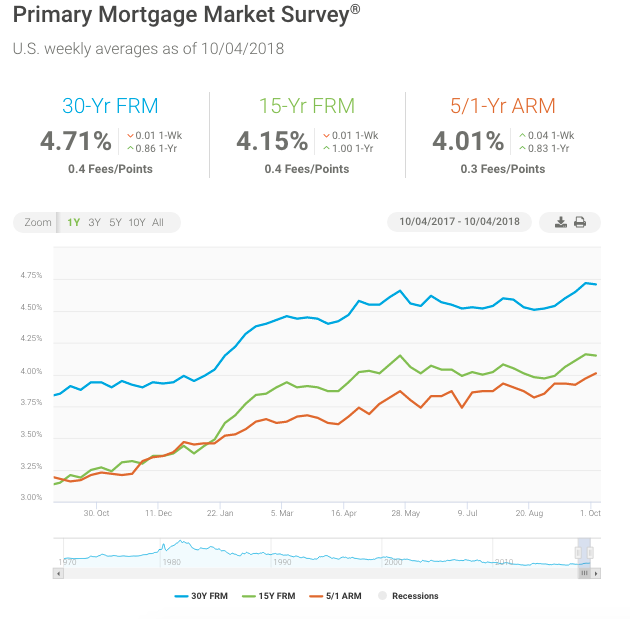 Mortgage rates inched back a little in this week’s survey, easing 1 basis point to 4.71 percent after hitting a seven year high last week. There is upside risk to mortgage rates as the economy remains very robust and this is reflected in the very recent strength in the fixed income and equities markets. 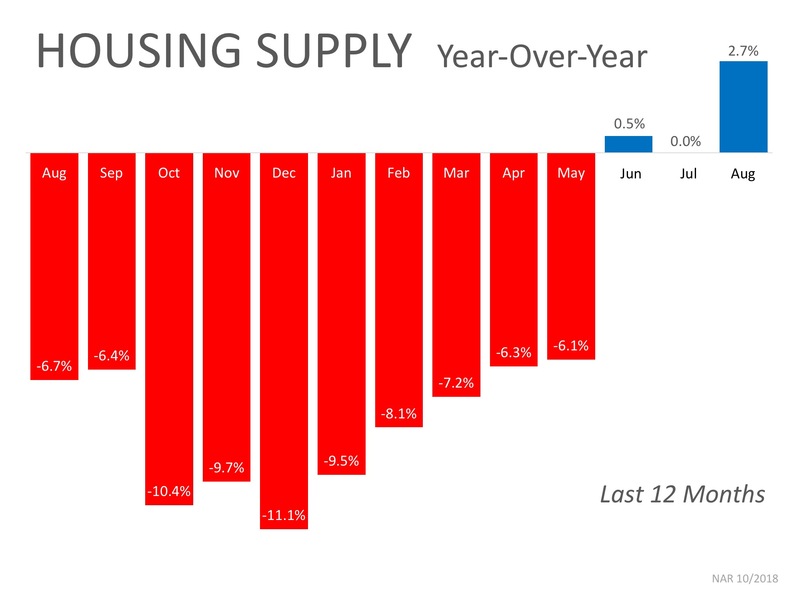 However, the strength in the economy has failed to translate to gains in the housing market as higher mortgage rates have contributed to the decrease in home purchase applications, which are down from a year ago. With mortgage rates expected to track higher, it’s going to be a challenge for the housing market to regain momentum.